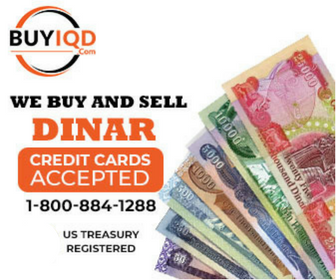 https://www.iraqinews.com/features/iraqi-dinars-project-postponed-5-years-says-central-bank/ Iraqi Dinar revaluation postponed by Central Bank for 5 years says MP Noura al-Bajari by Amre SarhanOct 29, 2014, 11:54 pm55Comments A member of the Parliamentary Economic and Investment Commission, MP Noura al-Bajari. Baghdad (IraqiNews.com) A member of the Parliamentary Economic and Investment Commission, MP Noura al-Bajari, confirmed on Wednesday that the initiative to revalue and delete zeros from the Iraqi Dinar is ready for implementation by the Central Bank although it will be delayed by five years given the political and security situation of Iraq. In an interview with IraqiNews.com al-Bajari said “The policy to delete zeros from the Iraqi currency is ready to be executed by the Central Bank, however, its implementation will be delayed by 5 years on the basis of the extreme security and political situation of the country.” Al-Bajari said that the head of the Central Bank of Iraq had previously said that this policy from parliament was accepted and that the zeros will be deleted from the Iraqi currency in the next 5 years.